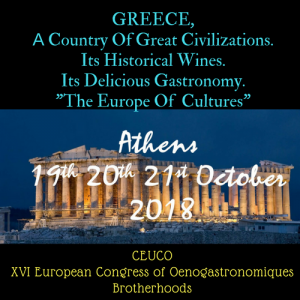 Following your letter dated 28th March 2018, I hereby inform you that the European Oenogastronomic Brotherhoods Council (CEUCO) has accepted your request to hold the next International Congress for the year 2018, 19th-20th-21st October in Athens, Greece. 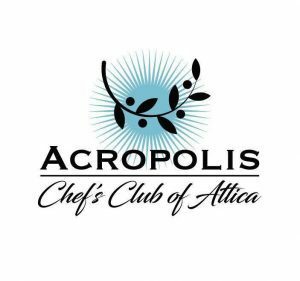 We hope to count on your important collaboration so that the activities that will be programmed are a success of cultural, historical, tourist and gastronomic promotion for Greece, for which I send you the project and the rules of realization of CEUCO Congresses. GREECE, A Country Of great Civilizations. Its Historical Wines. Its Delicious Gastronomy.